I tend to print tens of pages in high DPI mode, so it may take minutes (sometimes even few hours) for my printer to print something. Is there an app/utility or a script to get notified that a given print job has ended? 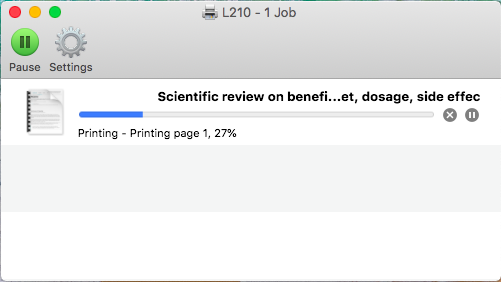 update: MacOS has print utility called "Printer Proxy" - the idea is to setup notifications when a print job completes. Let me know if you have any suggestions on how I can go about it. Browse other questions tagged macos printing notification-center . iMac as a print server for iOS? Print with blank first page? How do I schedule a print job in 10.9? How can I get a raw print queue in the Print & Scan menu?